Spider-Man: Homecoming Review | Nerd Much? Out of all the superhero film franchises released, Spider-Man has certainly had the most ups and downs in terms of quality. 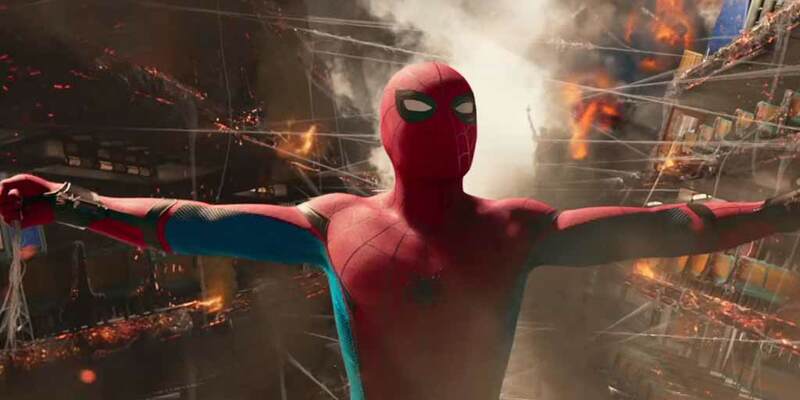 While the first two Spider-Man movies were borderline perfect, the third installment suffered and the Amazing Spider-Man reboots are still some of the worst examples of superhero movies to date. Now with a new story, cast, director, and even cinematic universe, Spider-Man: Homecoming aims to fuse this famous web slinger into the Marvel Cinematic Universe. While the movie isn’t perfect, director Jon Watts does a wonderful job with invigorating this franchise and delivering a solid film that stands on its own two feet. 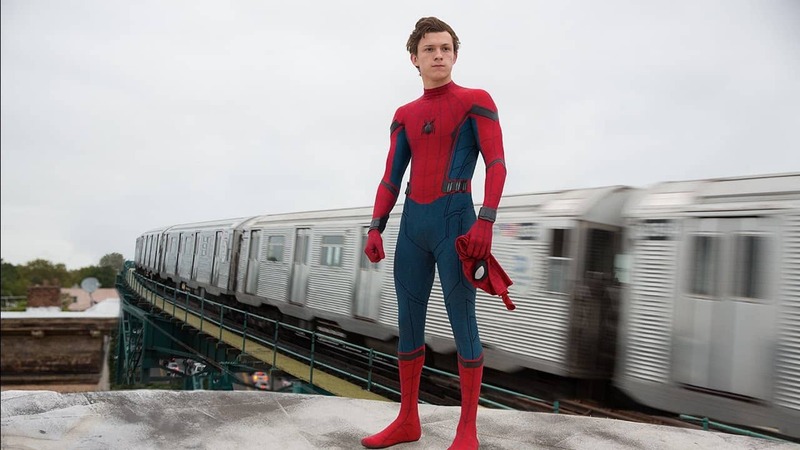 Following the events of Captain America: Civil War, Peter Parker (Tom Holland) is back in New York City stuck living a rather mundane high school life. While he tries to make a difference in his community, Peter never feels like he is doing enough or living up to what his perception of a hero/Avenger should be. After stopping a robbery in progress, Peter learns of the Vulture (Michael Keaton) and his criminal gang that has been building/trafficking alien weaponry following the New York City incident. 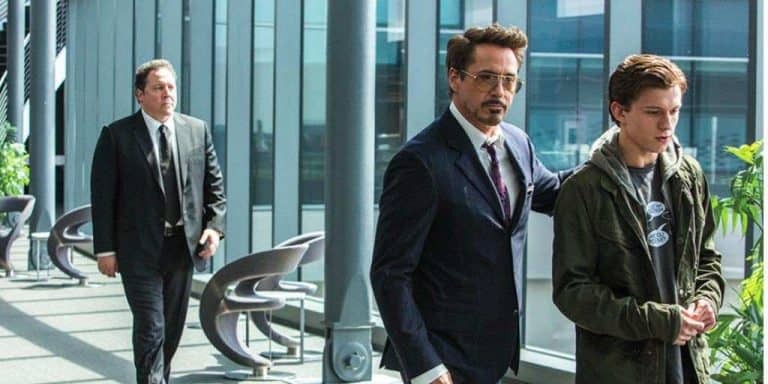 Peter attempts to stop their plans all while balancing his life as a normal high school kid and the ever watchful eye of mentor Tony Stark (Robert Downey Jr.). Where Spider-Man: Homecoming deviates from the typical Marvel movie is that it’s structured more like a high school comedy. In theory, this should weigh the film down, but it actually helps enhance a lot of the more personal and emotional storylines running through this film. There’s a sense of confidence behind the main plot that helps certain aspects like school dances, clicks, bullies, and parties all feel fresh despite leaning on rather big genre tropes. Much of this is because Spider-Man acts as a nice way to deepen or strain the relationships that Peter has without resulting to cliches. There’s a lot of humor in Spider-Man: Homecoming and thankfully many of the jokes hit their mark. While there are a few duds, Holland’s delivery is fantastic and his portrayal of Peter is by far one of the best so far. He feels like a typical teenager and the struggles he goes through are familiar despite the extraordinary circumstances he finds himself in. Holland offers a nice sense of vulnerability, as he never feels like he is totally in control of the events around him. He’s under enormous pressure at all times and it shows wonderfully on screen. Parker is relatable, which makes his big crowd cheering moments even better because you become invested in his survival. However, there are a few hitches in the script with Tony Stark being the most notable during the 2 hour and 14-minute runtime. Don’t get me wrong, Downey does a fine job as Stark, but the character feels shoehorned into the plot for the sake of it. Stark really doesn’t add much beyond trying to remind viewers that Spider-Man: Homecoming is a part of the MCU, which is pretty easily established very early on in the movie. Despite needing to act like a mentor, it never feels like Stark and Peter’s relationship develops in any significant way. In contrast, the supporting cast for Spider-Man: Homecoming all serve a purpose with Jacob Batalon delivering solid comic relief as Peter’s best friend, Ned. Everyone else is great, however, Laura Harrier’s Liz could have used a bit more development as the film never really delivers a satisfying payoff to her story. There is also a rather big “twist” thrown in the final moments that will certainly divide fans, but it’s intriguing enough to make me see where they will take the franchise next. Watts also offers a flurry of Spider-Man easter eggs for various characters, some of which are presented in a bit more detail than others. They never reach the inorganic levels of Amazing Spider 2’s cameos, but a few feel a bit forced into the script for the sake of it. Yet, the big star is by far Michael Keaton’s Vulture who is perhaps one of the best MCU villains to date. Marvel has always had a terrible habit of never going into the motivations of the villains, but Watts does a fantastic job with this iconic villain. Not only is the Vulture menacing, but his relationship with the people around him is fascinating to watch unfold, especially once the third act kicks in. Keaton is deliciously evil here, but it’s never without purpose and that makes him far more entertaining. There are small moments where you want to root for him and his characterization helps him stand alongside the likes of Red Skull and Loki. In terms of action, the use of Queens is actually rather interesting since the borough itself is not full of the Manhatten skyscrapers many would associate with Spider-Man. Because of this, Spider-Man has to adapt to a rather shallow landscape and it helps the moment to moment action feel different from the other films in this franchise. While the movie lacks a truly dynamic fight sequence like the train battle in Spider-Man 2 or Ironman vs Captain America fight in Civil War, what we do get is entertaining enough. Only one sequence comes out flat, as the plane fight is a bit too chaotic and can be rather hard to follow at times. Yet it ends in such a unique way that it makes up for the haphazard editing. Visually this is the best looking Spider-Man so far and there are some neat moments with the enhancements added to Peter’s suit. The web-slinging looks great and Vulture’s design is truly one of the best to come out of Marvel in years. In terms of pacing, the movie moves along fast enough, although it does suffer from a bit of a lull in the middle. This isn’t enough to compromise the movie, but it does slow the plot down in a rather noticeable way. 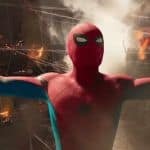 Spider-Man: Homecoming is a fantastic return for this superhero and is certainly one of the best Spider-Man movies to date. When it comes down to it this is a high school comedy with Spider-Man in it and that’s exactly what this film needed. By stepping back from the big world ending events the MCU is known for, it allows Homecoming to tell a far more personal story. Despite having a few noticeable flaws in the pacing and inclusion of some MCU elements, Spider-Man: Homecoming stands as not just a great superhero movie, but a solid film in general. Overwatch News: Doomfist Live on PTR NOW!